We’re on the job day and night to respond to power outages and other electrical emergencies. You can count on us to respond quickly, no matter the hour or the weather. Call 1 800 668 5506 or use our online form to report an outage, downed power line or damaged pole. Do not approach downed power lines. Stay at least 10 metres back. Make sure it’s not your fuse or breaker. Check our outage map or our My ATCO Electricity - Track & Report Power Outages app. It's likely we already know about the problem and are working to fix it. Report the outage, if it hasn’t been already. Call 1 800 668 5506, use our online form or our app. Turn off or unplug sensitive appliances and electronics to protect them from power surges. Preserve heat, where possible. Close blinds or drapes and avoid opening doors. Do not use outdoor barbecues, kerosene or camping heaters indoors, as they emit carbon monoxide. 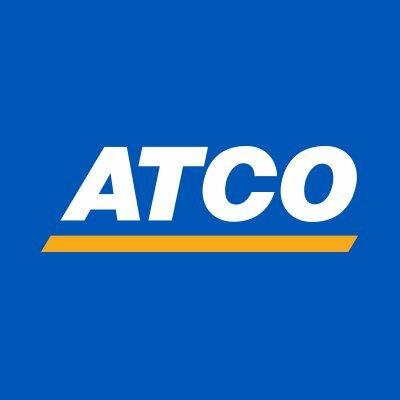 Keep an eye on the outage map or your app, and follow us on Twitter @ATCOElectric for updates. Power outages can happen any time – and usually without warning. Most are very short, but it's important to be prepared if they last longer. Download our 72 Hour Emergency Kit: Preparing for Outages to find out what you should include in your kit, and general tips on what to do during an outage. Most power outages are caused by severe weather. Strong winds can topple trees onto power lines. Lightning may strike power poles, lines or other equipment. Freezing rain, heavy snow or frost can build up on lines and break or damage them. Another common cause of outages is accidental contact, including underground or overhead power lines at construction sites, and vehicle accidents with power poles, lines or other equipment. Birds, squirrels, raccoons and other animals may contact equipment or chew into a power line. In our service area, it’s not uncommon for beavers to “fall” trees onto power lines. Though we regularly inspect, maintain and update our equipment, occasionally cables, connectors, switches or other equipment fail and trigger an outage. Sometimes, we need to interrupt service so we can work on the system safely. We try to avoid this but when we can’t, we give customers as much notice as possible. Service disruptions can occur when electricity supply doesn’t meet demand, such as when a generating unit goes down during a heat wave or peak use. These situations are rare.